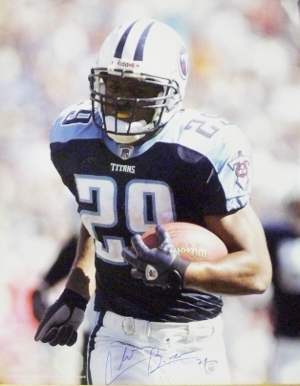 Chris Brown was drafted by the Tennessee Titans in the 3rd round of the 2003 NFL Draft. Chris Brown has hand autographed this Tennessee Titans 16X20 Photo. Certificate of Authenticity from Athlon Sports. Private Signing with Athlon Sports, in Nashville Tennessee on November 23, 2004.